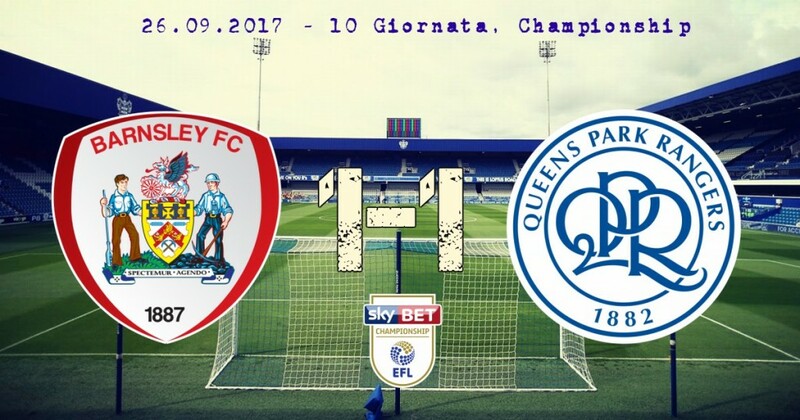 Barnsley (4-1-4-1): Davies, Fryers, Lindsay, Jackson, McCarthy, Williams, Barnes (45′ Bradshaw), Potts, Moncur (71′ McGeehan), Hammill, Ugbo. Panchina: Townsend, Thiam, M. Pearson, MacDonald. QPR (4-3-3). Smithies, Bidwell, Robinson, Caulker (74′ Smith), Baptiste, Freeman, Scowen, Luongo, Bright Samuel (45′ Washington), Mackie, Wszolek (76′ LuaLua). Panchina: Manning, Wheeler, Lumley, Lynch. Marcatori: 20′ Barnes, 87′ Freeman. Ammoniti: 23′ Caulker, 39′ Luongo, 49, Williams.